Everyone sees the outside of a car, but the inside is what matters for the passengers. the inside of a car, and so much more. grime that builds up in a car’s interior with ease. Many Car Interior Cleaning Products are made from chemicals that don’t smell good. and smelling great. In that case, we developed the best car interior detailing products. 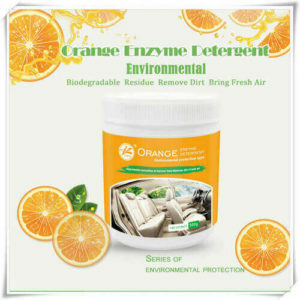 OPS’s Orange Enzyme Detergent has a simple name, but it has numerous uses inside and outside your car’s interior. Unlike some car interior detailing products, Orange Enzyme Detergent is blended to be used on both upholstery and dash surfaces. so we created Orange Enzyme Detergent to save you time and money. turn to Orange Enzyme Detergent! There is no reason to pollute the environment when you want to get your car’s interior squeaky clean. Our Orange Enzyme Detergent was blended with Mother Earth in mind, and is 100% biodegradable. what we can offer you, and get in touch with us to learn more. We can be reached at +86-579-82456460, or via email right here. Orange Enzyme Detergent might be the best Car Interior Detailing Product there is, but we know it is so much more!